Progress Monitoring refers to the process of frequently gathering student achievement data, analyzing the data in a timely, repeatable manner, and making sound instructional/intervention decisions based on the data. An effective progress monitoring process is one of Six Critical Components of a Strong Math Intervention Program. 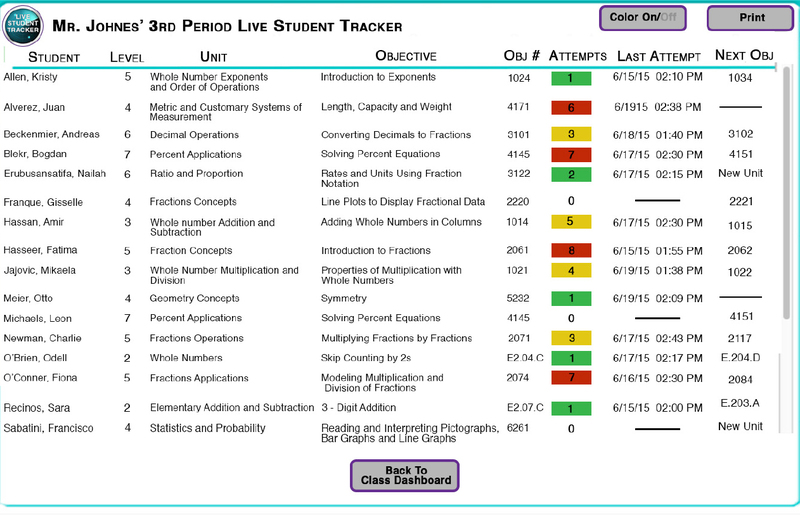 Exceptional Math Progress Monitoring Tools! To implement progress monitoring, the student’s current levels of performance are determined and goals are identified for learning that will take place over time. 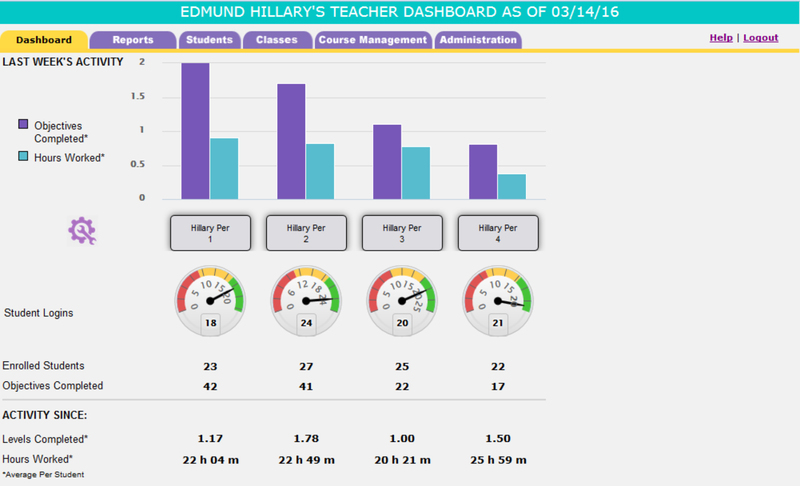 The student’s academic performance is measured on a regular basis (weekly or monthly). Progress toward meeting the student’s goals is measured by comparing expected and actual rates of learning. Based on these measurements, teaching is adjusted as needed. Thus, the student’s progression of achievement is monitored and instructional techniques are adjusted to meet the individual student’s learning needs. 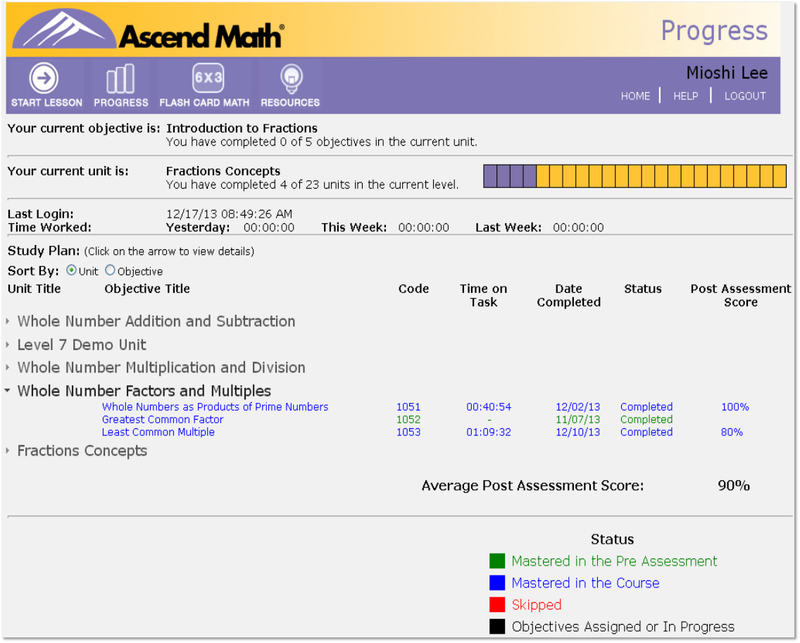 Ascend Math provides easy to read progress monitoring reports and real-time data thus the student’s progression of achievement is monitored and instructional paths are adjusted to meet the individual student’s learning needs. Level Growth - The starting and current levels of the students in the class. 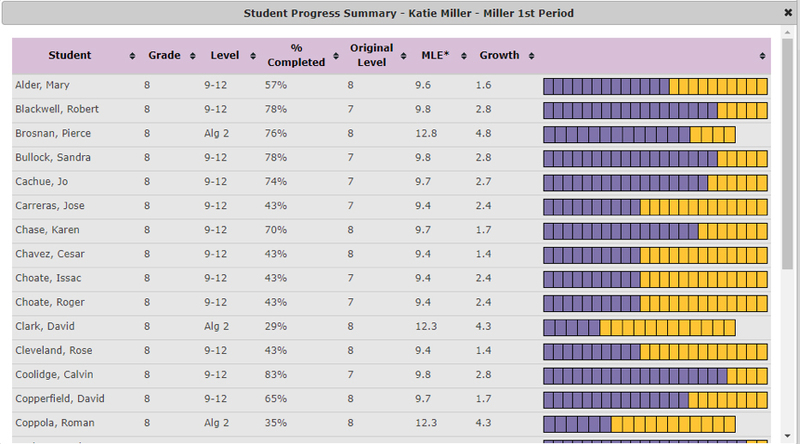 Level Distribution - The number of students in this class currently working in each functional grade level. The number of students that have completed levels. 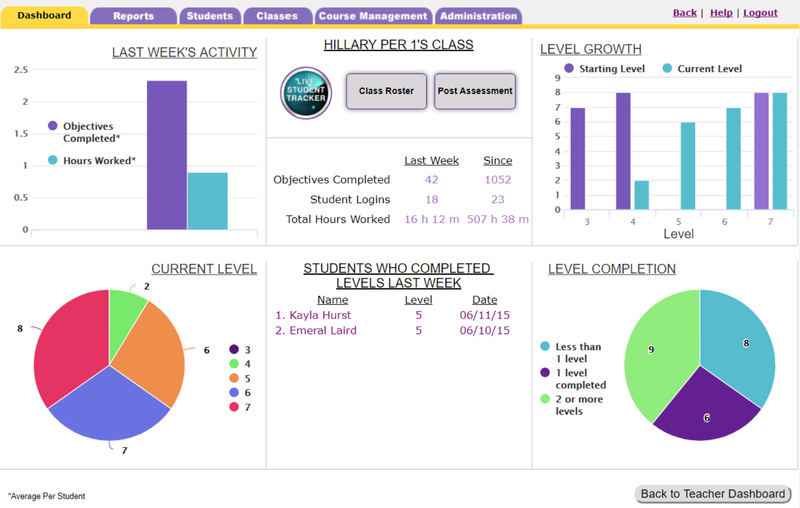 Each time students log in to Ascend the first thing they see will be their personal avatar climber. Students choose the avatar for their personal climber. 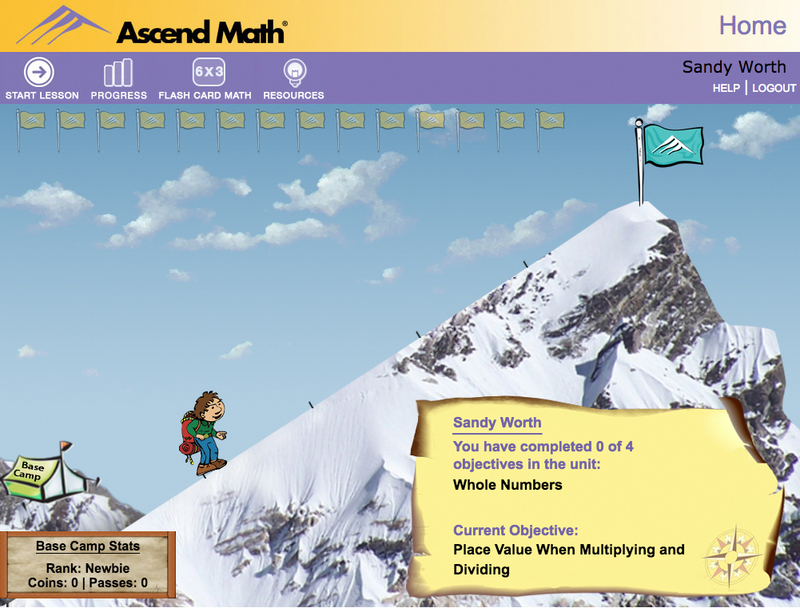 Students continuously see progress as their climber avatar ascends the mountain one objective at a time. Rolling the mouse over the flags show how far the student has progressed and which objectives are next in line. Mountain badges are earned for each level the student climbs. Students earn badges and rewards for time on task and objectives completed.